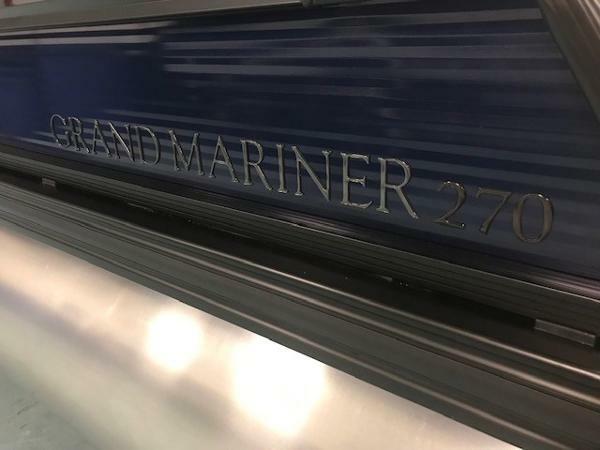 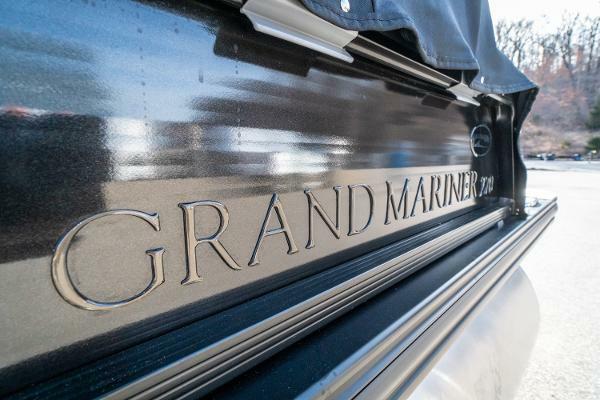 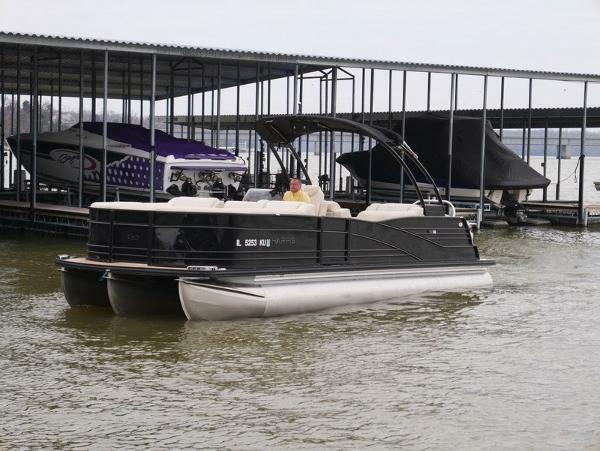 The Grand Mariner 270 offers additional playpen square footage and unique new floor-plan choices for the larger boat. 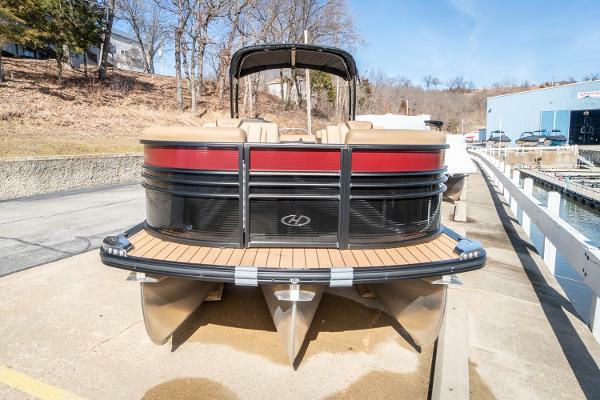 With the DLDDH or the SLDDH you will find two matching helm seats on the port side across from the ergonomically designed fiberglass helm. 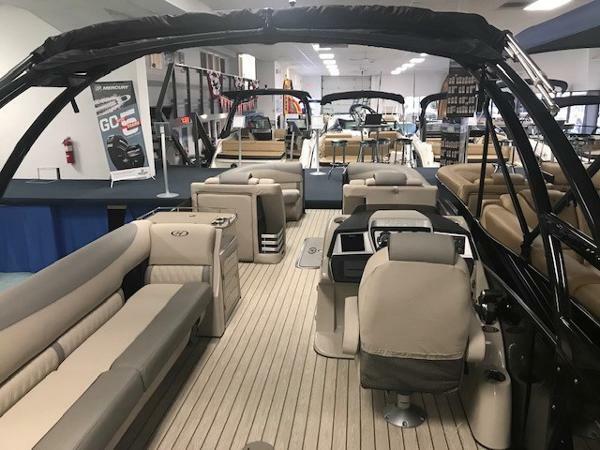 Choose from standard or pillow-top furniture available in Desert Camel, Almond or French Gray color styles. 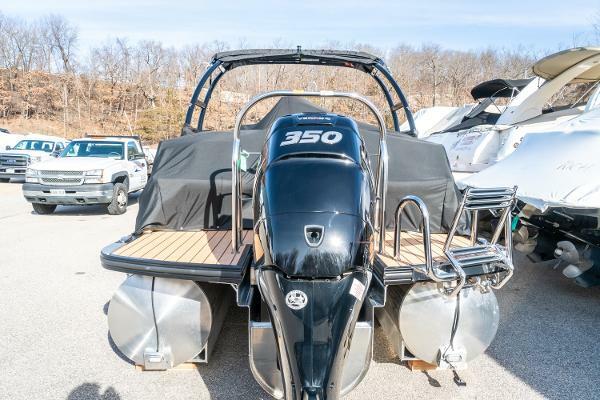 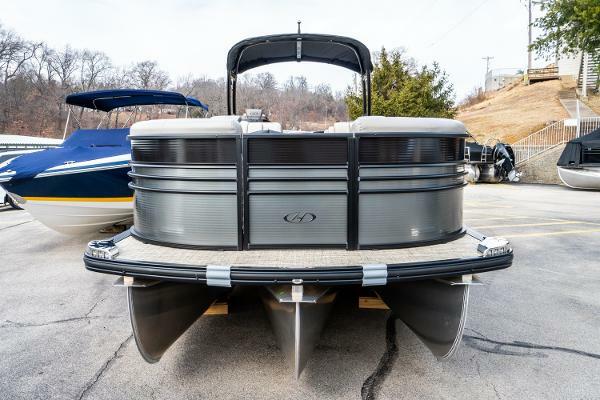 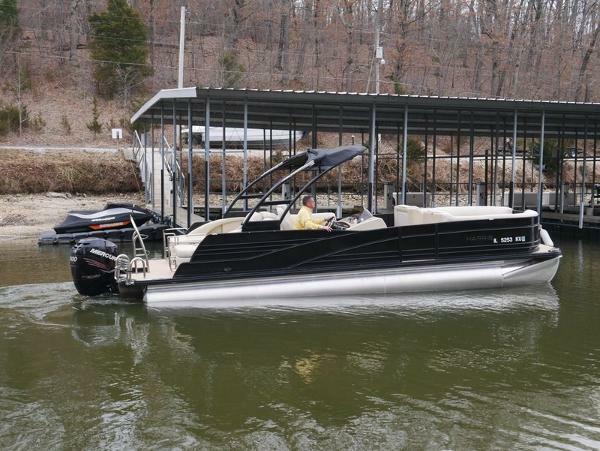 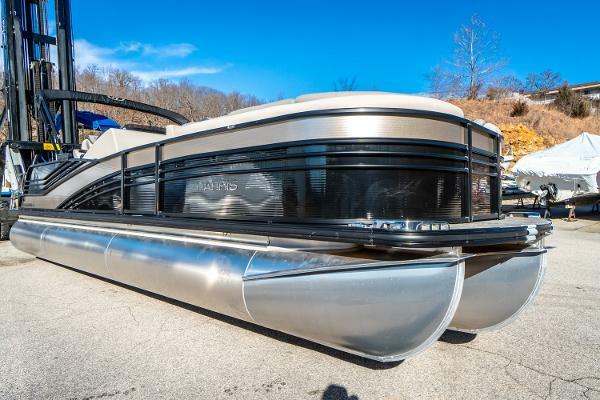 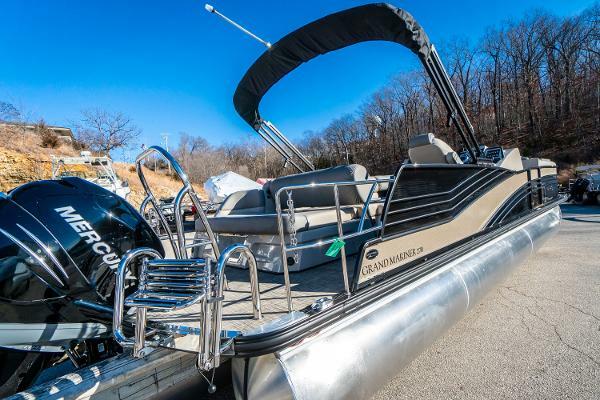 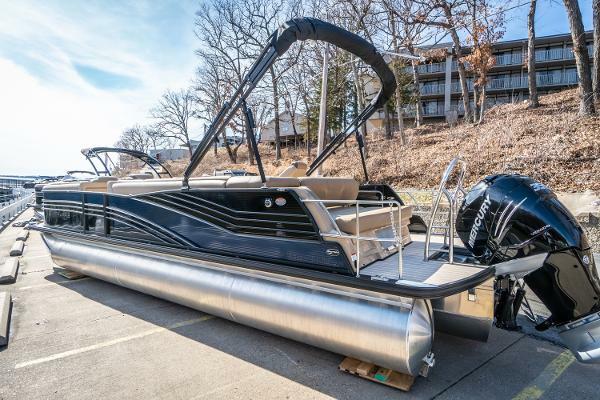 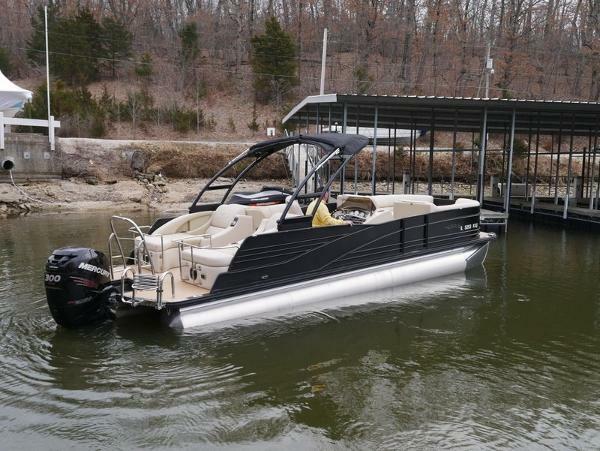 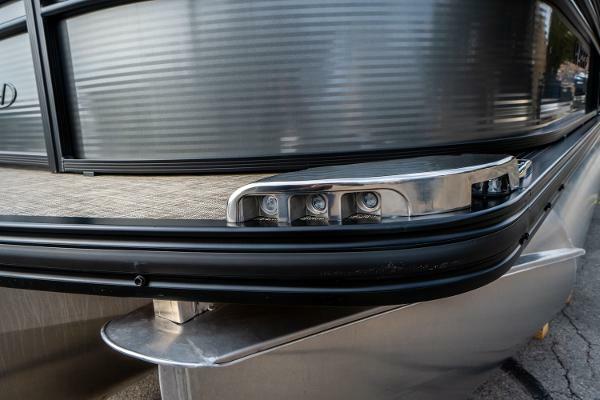 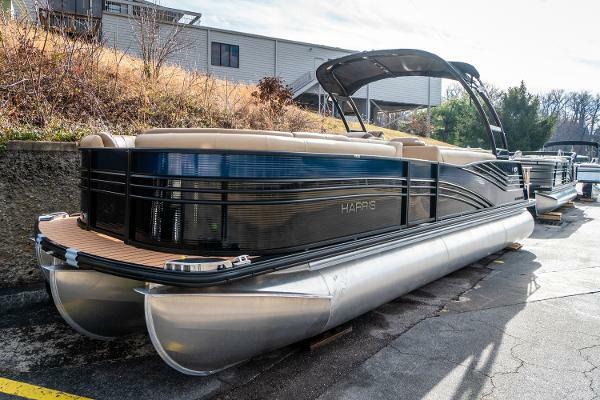 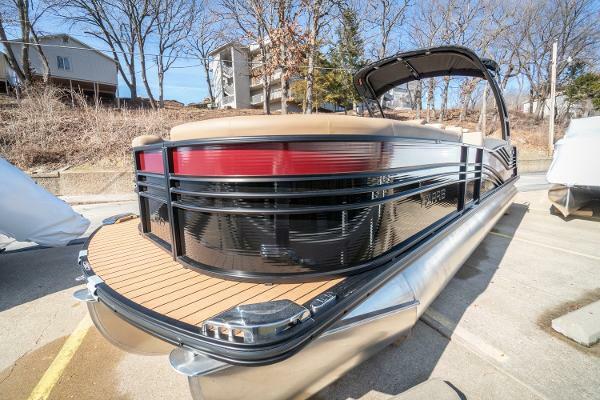 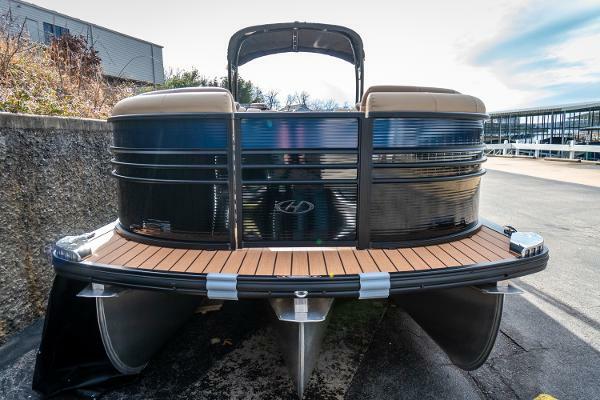 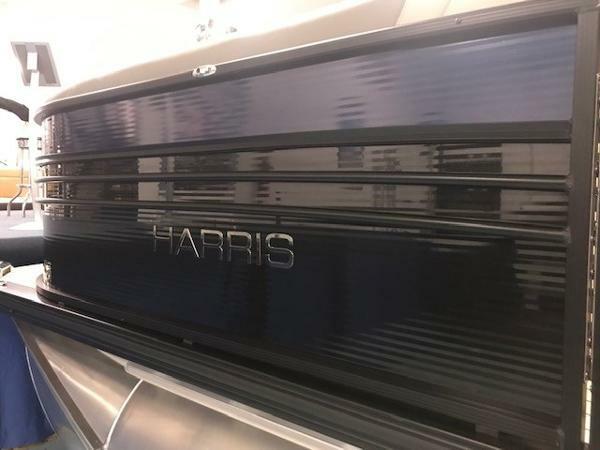 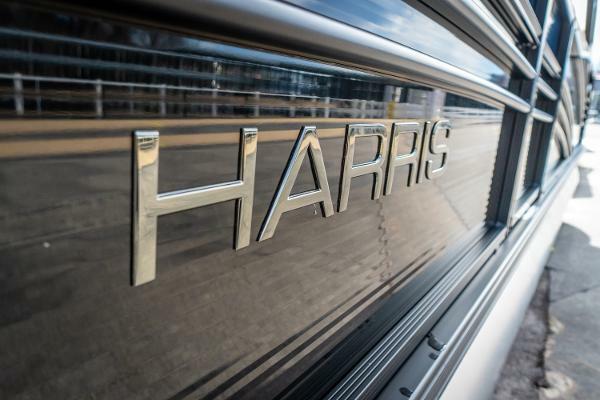 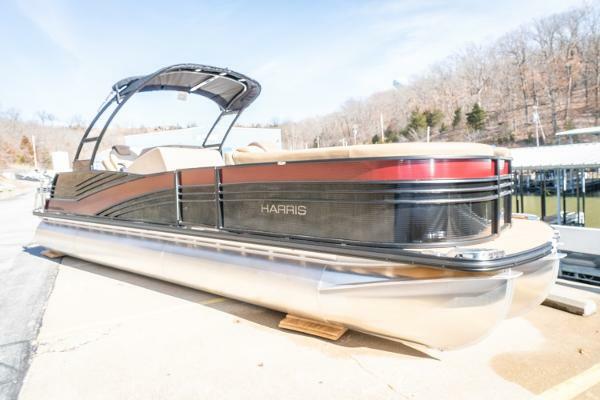 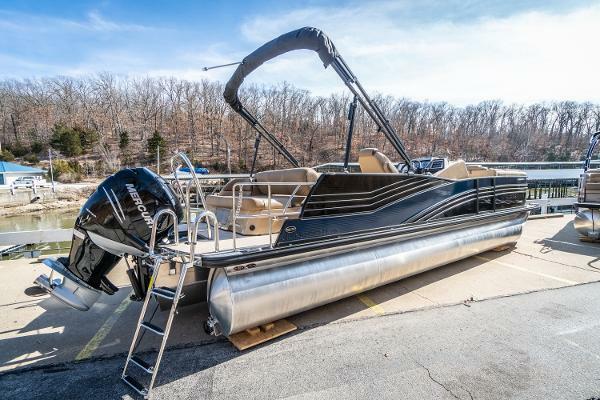 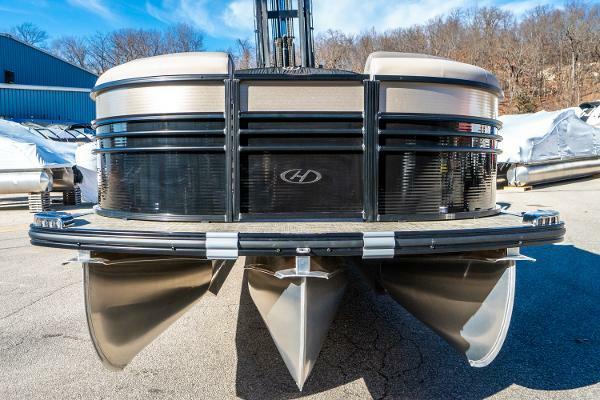 With this larger pontoon boat, you have the choice of power options ranging from 90HP to 400HP on the Harris Performance Package Plus or PIII Performance Package, which includes three 25-inch diameter tubes with lifting strakes and aluminum under skin for improved stability and performance. 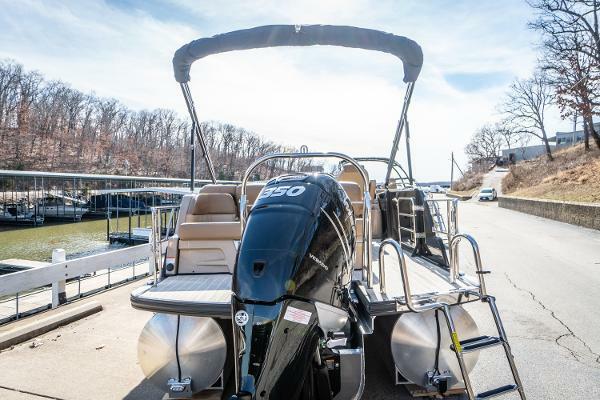 Consider adding the Glass Dash Helm upgrade which includes a 12-inch and 7-inch touch screen providing control of the Polk stereo and lighting, as well as interactive GPS charts, engine data and cruise control with ability to set up multiple skier launch and speed profiles.